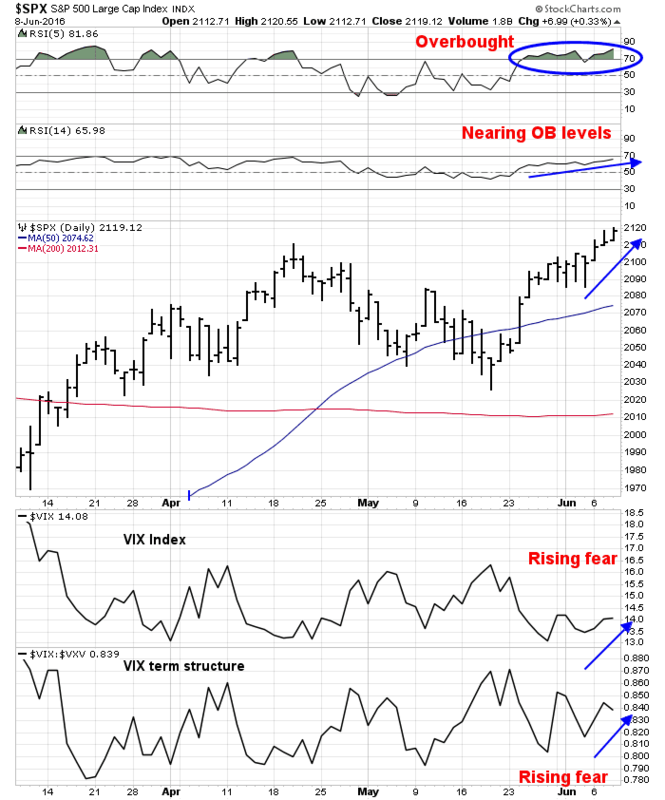 Mid-week market update: There isn't much to say about the short-term stock market outlook, other than to acknowledge that a strong reflex rally is underway. As the markets are reacting in a highly emotional way, I have little to add other than to say that the market will be volatile. If you did jump on the buy signal issued on Monday night (see Hitting the Brexit trifecta), you might consider scaling out of your long positions as prices rise, especially as SPX rallies to test the underside of its 50 day moving average. 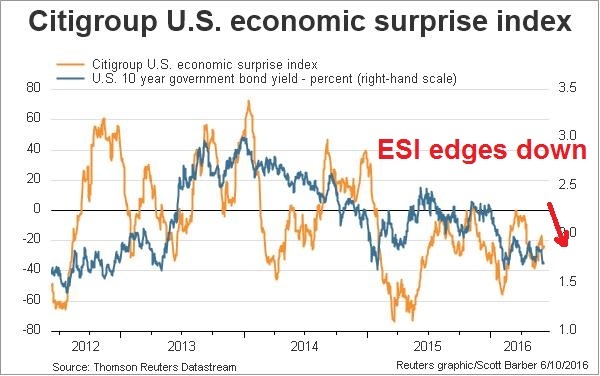 Brian Gilmartin pointed out that both the bond market and gold are not retracing the Brexit panic move the way stock prices are, which is a worrisome sign. I interpret these conditions as a bottoming process, where the market will bounce around in a range and re-test the lows before it can mount a sustainable rally. Now that the Brexit has been "fixed", I turn to ways of trading the US presidential election this year. 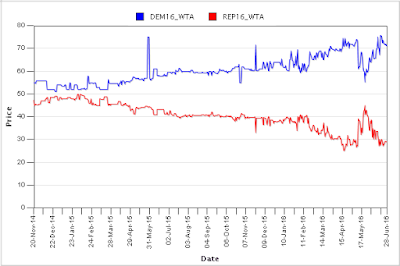 The last polls show that Hillary Clinton well ahead of Donald Trump and the Iowa Electronic Markets indicates that HRC has about a 70% chance of winning. I have a couple of suggested trades to take advantage of either Clinton or Trump winning. As Clinton is currently in the lead, I will frame these trades as a "long" Clinton trade, but if you want to be "long" Trump, then all you have to do is put on the reverse trade by shorting instead of buying. As I pointed out yesterday (see Brexit: LTCM or Lehman? 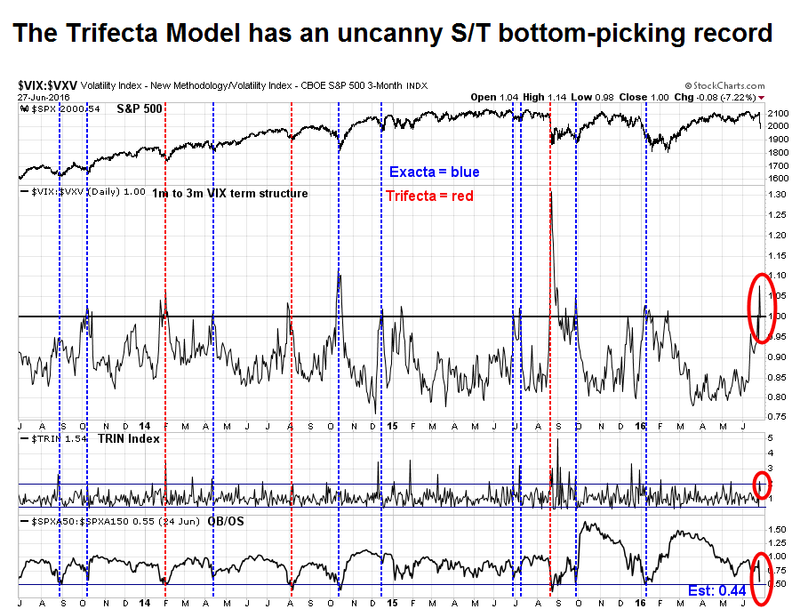 ), my Trifecta Bottom Spotting Model, which has shown an uncanny record of spotting short-term market bottoms. 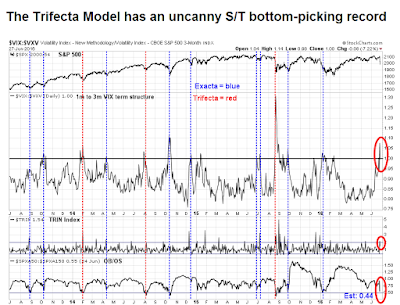 This model flashed an "exacta" buy signal as of Friday's close and it has now flashed a "trifecta" signal based on Monday's close. VIX term structure is inverted: When the ratio of 1-month VIX (VIX) and 3-month VIX is above one, it indicates a high level of market fear. TRIN above 2: When TRIN is over 2, it is an indication of indiscriminate forced selling by either risk managers or margin clerks - and often marks a capitulation bottom. Intermediate term overbought/oversold: When the intermediate term OBOS is below 0.5, the stock market is oversold and stretched to the downside. The chart below shows the past signals of this model in the last three years, with exacta signals in blue and trifecta signals in red. The US equity market is setting up for a short-term face ripper of a rally very soon. In the wake of the Brexit referendum surprise, I sensed that a lot of investment professionals were in shock and didn't know how to react to the market turmoil. I have found that having the proper analytical framework focuses the mind. I found one tweet by the FT`s Gillian Tett particularly useful for investors. That's the critical question: Does Brexit represent a Lehman moment or LTCM moment for investors? In the former case, investors should de-risk portfolios and sell equities down to a minimum weighting in order to avoid severe losses. 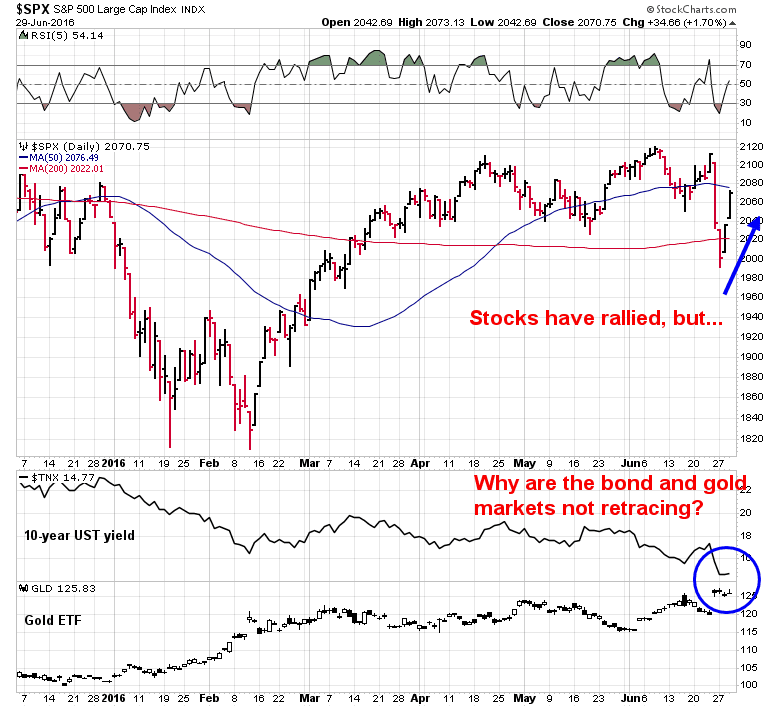 In the latter, investors have been handed a golden opportunity to buy stocks, Blink and the correction will be gone. For traders, it's entirely a different story, which I will also address in this post. 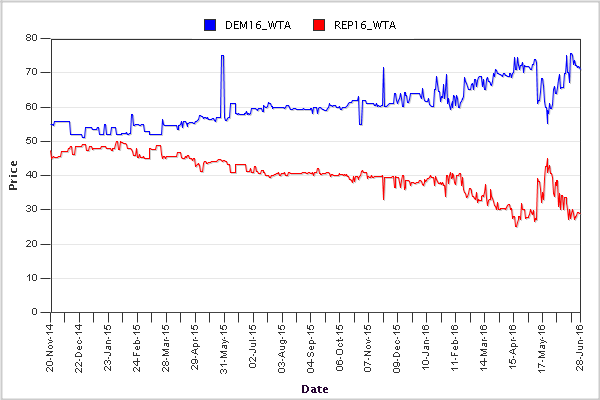 Well, my Bremain call didn't go so well (see Positioning for a Bremain result). As I write this, the BBC has called the referendum in favor of Leave by a margin of 52-48. GBPUSD is down about 10% and Asian stock markets are down 2-4%. Mid-week market update: Even though the polls show the two sides running neck and neck, my inner trader is positioning for a Remain result in the UK referendum for the following reasons. Market anxiety is rising - so a "buy the rumor, sell the news" position is not warranted. This is obviously a speculative trade and much could go wrong. The pollsters totally missed the results of the last UK election. In addition, severe weather in southeast England could affect turnout and therefore skew results. The Vietnam War was a war that scarred the national psyche and dramatically changed the tone of American foreign policy for a generation. If you visit the Vietnam Memorial in Washington DC today, you will find roughly 58,000 names of fallen soldiers from that period. Now imagine if instead of losing 58,000 soldiers, the United States lost 2.5 million during the Vietnam War. For a country like the US of roughly 300 million people, that kind of casualty rate would mean that virtually every household in America would be touched by combat death, whether it's a father, son, brother, uncle, friend or neighbor. Then 25-30 years later, which is roughly the span between the Vietnam War and 9/11, the country got involved in another conflict with a similar death toll. Imagine the resulting national trauma. That's what happened to many European countries in the First and Second World Wars - and the losses quoted would be roughly what the equivalent losses are for the US on an equivalent per capita basis on par with many European countries. My last post (see Why you need to give the bull case a chance) elicited a considerable amount of comment. Most of the pushback I got on the equity bull case amounted to a question of, "Where's the growth coming from?" I recognize the concerns. 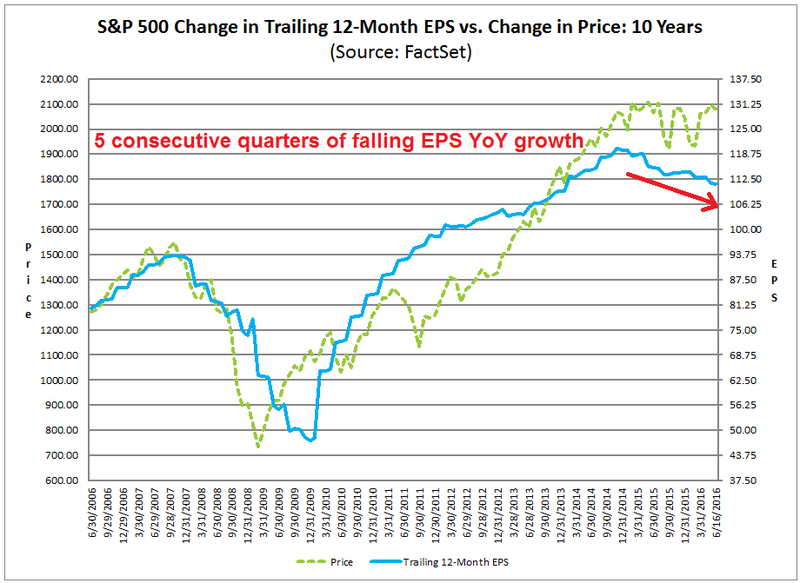 As this chart from Factset shows, the equity market has had to endure five consecutive quarters of falling year-over-year EPS growth. How can anyone possibly be bullish under such circumstances? In this post, I would like to explain my bull case for stocks, with an initial SPX target of 2200 and, depending on the Fed's reaction function, up to 2400-2500. Maybe it's me, or my imagination? Even before the latest round of market weakness, most of the feedback and sentiment on my social media feed has tended to bear bearish. I saw a fair number of calls for SPX to eventually test its February lows at about 1820, but I haven't seen a lot of forecasts for breakouts to new highs. The recent year-end projection by respected former Value Line research director Sam Eisenstadt of 2220 only represents only modest upside from current levels, but I don't see a lot of enthusiasm for that call. That's not the sort of investor behavior and psychology that happens at market tops. While a bull case where the SPX rises to 2400-2500 is my base case scenario, it is well within my range of possibilities. Until the investing public starts to get wildly enthusiastic about a 2400-2500 SPX target, it's hard to see how this market tops out - and I will measure the success of this post by the amount of hate mail I get. Rob Hanna at Quantifiable Edges also observed that the combination of a VIX spike of this magnitude is unmatched by the shallowness of the fall in stock prices. 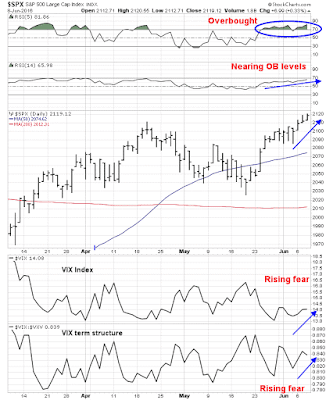 As you can see from the chart below, the VIX Index spent the second day above its Bollinger Band (BB), which has marked regions of limited downside risk in the past. On the other hand, the bottom panel shows the 10-day rate of change of the VIX Index, and such events have often foreshadowed further SPX weakness (see vertical lines). What's going on? 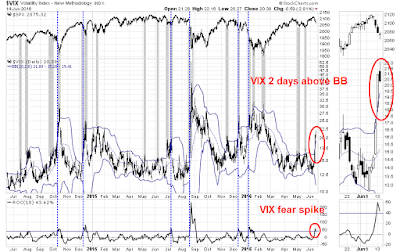 My analysis suggests that we are seeing the case of the VIX tail wagging the SPX dog. The market seem to be following the script that I laid out last week (see Get ready for a market of maximum frustration). I wrote that I remained bullish into year-end, but the short-term outlook was corrective. From a very short-term trading perspective, however, the tendency for the market to rise in the face of bad news like the Jobs Report, indicated that stocks needed to move higher before correcting. The market did climb the proverbial Wall of Worry until mid-week before weakening (see my mid-week comment Adventures in Option-Land). As the market ground higher last week, I could see the bears starting to capitulate and sentiment gauges becoming more bullish, the major indices topped on on Wednesday. 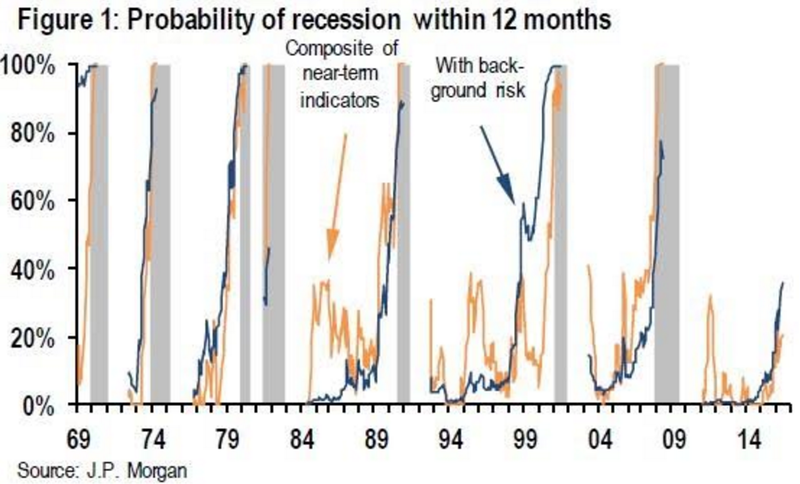 The market narrative then changed to focus on the deteriorating macro outlook. Indeed, the Citigroup Economic Surprise Index, which measures whether macro data is beating or missing consensus estimates (gold line in chart), is turning down again. It's time for stocks to pay the macro piper. However, these indications of weakness are temporary. Once the growth fears clear, stock prices should recover and push to new highs later this year. How much does the Fed want to raise before it considers rates to be "normalized"
Mid-week market update: I like to monitor the option market from a sentiment modeling perspective because, unlike surveys which can swing all over the place, the option market is a forum where people are putting real money on the line. 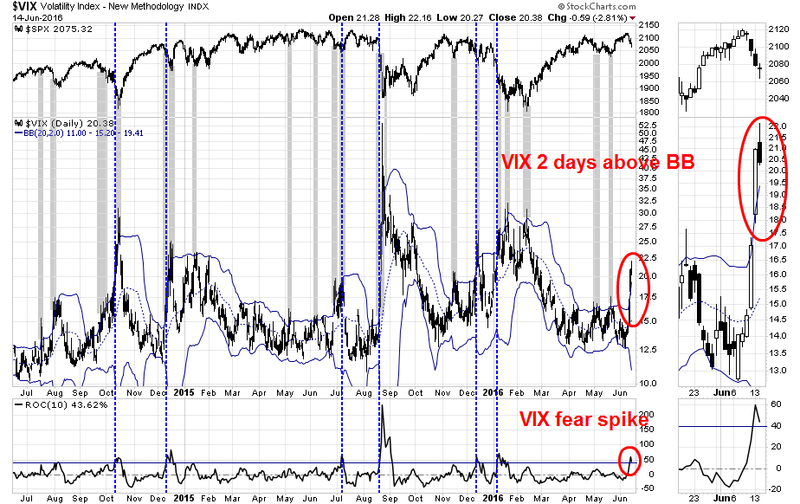 The VIX term structure has also been indicating higher fear levels in the same time frame. At the same time, standard measures of overbought/oversold and sentiment models, such as the CNN Money Fear and Greed Index, is showing a high level of greed, which is contrarian bearish. What's going on? Is this just a sign that the stock market is climbing the proverbial Wall of Worry? I present for your consideration the following mystery chart. Would you rate this as a "buy", "hold" or "sell"? Your answer will tell you something about your global macro-economic outlook and the likelihood of an equity bear market in the near future. 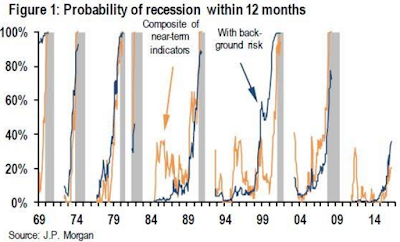 Any of the recessionistas who ranked the above chart "buy" might want to read this post carefully, including everyone who jumped on the JP Morgan rising recession risk bandwagon and David Rosenberg's abrupt bearish turn. A June swoon before SPX 2400? Medium term (6-12 month time horizon) bullish: The disappointing Employment Report gave the FOMC doves to stay cautious and push out its schedule of interest rate normalization. When combined with a picture of a steadily growing US economy, it gives room for the SPX to reach the 2400-2500 area late this year before the market tops out for this cycle (see my previous posts How the SP 500 could get to 2400 this year and The roadmap to a market top). 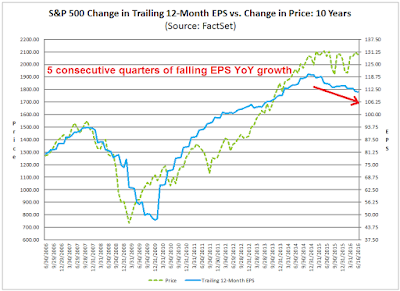 Short term (1-2 months) bearish: On the other hand, the massive Non-Farm Payroll (NFP) miss, along with weakness in forward EPS, is setting up for a growth scare that is likely to spook the markets. Trading (1 day to 1 week) bullish: The inability for equity prices to fall in the face of bad news suggests that the bears are exhausted. It therefore sets up the market for a rip-your-face-off rally should there be any sign of positive news. The stage is set, pick your poison. Be careful - even a slight timing mistake could turn a trading profit into a loss. Should China emulate America? Or the other way around? Having surveyed 450 investors, only 13 percent invest for short-term purposes, such as turning a quick profit or generating enough cash to make a major purchase, while 87 percent invest as a means to improve their standard of living, retire or their children's education, the study found. The lack of a mature bond market, long-term products on the market and professional financial advisors were major challenges, the authors explained. "While the incomes and expectations of China's emerging affluent have risen, China's financial services sector has not kept pace...Unlike upper-middle class investors abroad, most Chinese investors chart their financial futures without assistance from financial service professionals," the authors said. As a result, Chinese often don't understand the content of their investments and the risks they carry, the study noted, pointing to WMPs as an example. Detailed information isn't always provided to customers and this lack of transparency is intentional since most WMPs are concentrated in China's increasingly troubled industrial sector, the study said. The combination of the lack of a professional institutional investor base (think Singapore's sovereign wealth fund) and the lack of hard information about the markets, individual investors adopt behavior that looks like gambling.